Start your college education while still in High School and get a jump on your future! 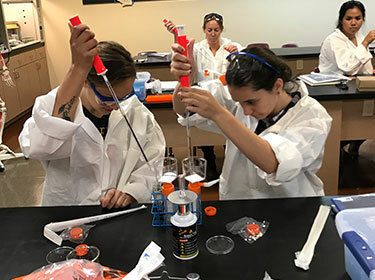 Dual enrollment (DE) at Salish Kootenai College, is an opportunity for high school students to continue participating in their high school curriculum while also attending some key, entry-level college classes. DE affords participating students a jump start on their college career shortening the time it takes to complete their degree program and reducing the cost of their education. Salish Kootenai College offers scholarship opportunities to American Indian High School students who are interested in participating in Dual Enrollment/Early College opportunities. This scholarship is available to American Indian High School Students to assist with the cost of tuition. It is the student’s responsibility to pay for all books, fees and other associated costs associated costs of attendance. Students who receive this scholarship are expected to complete the course they register for and remain in good academic standing at SKC as well as at their High School. High expectations exist for high school students to enter the dual credit (DC) or college credit (CC) courses. High school students enrolling in DC or CC courses must meet college and college departmental standards for those courses including but not limited to attendance, completion of activities, exercises, and examinations as per the course syllabus and schedule. Dennis LaBonty is the SKC Dual Enrollment Coordinator. He is available to ensure that your experience as a dual enrollment student is positive and rewarding. As a dual enrollment student you have an enthusiastic team behind you; your dual enrollment instructor, your high school administrators, and school board, parents, community, and Salish Kootenai College. We all want to see you succeed...take advantage of your support group and ask questions!